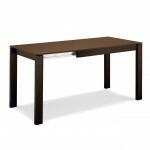 BARON drop-leaf table with perimeter legs and frame in wood. 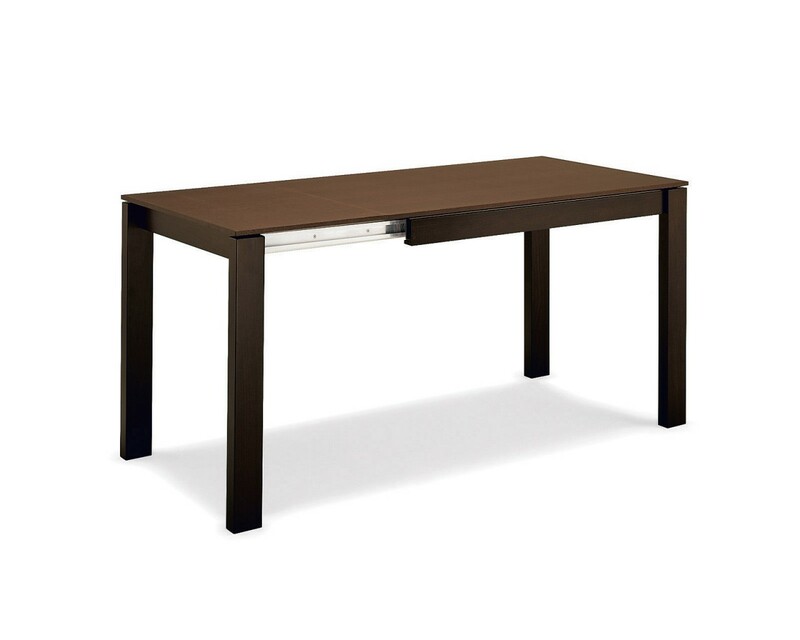 Rectangular top in wood or tempered glass. 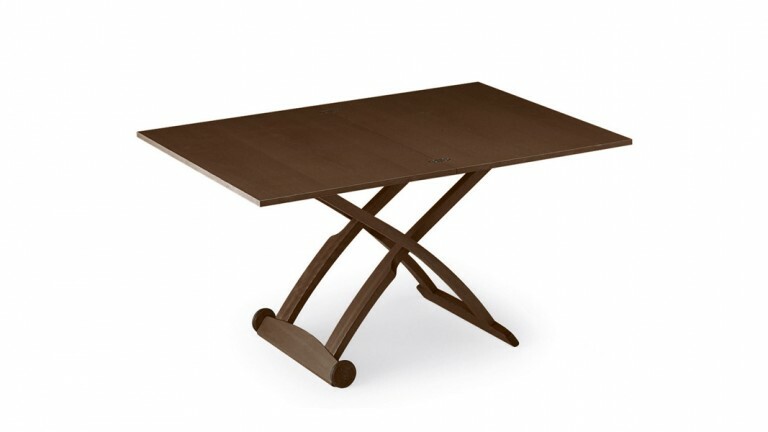 The BARON table contains a handy mechanism able to extend the top surface. Pull the frame towards you so that the two legs with hidden castors slide on one side allowing the leaf to be pulled out. With a simple rotation the leaf fitted on metal tracks comes out of its housing and lines up with the top. 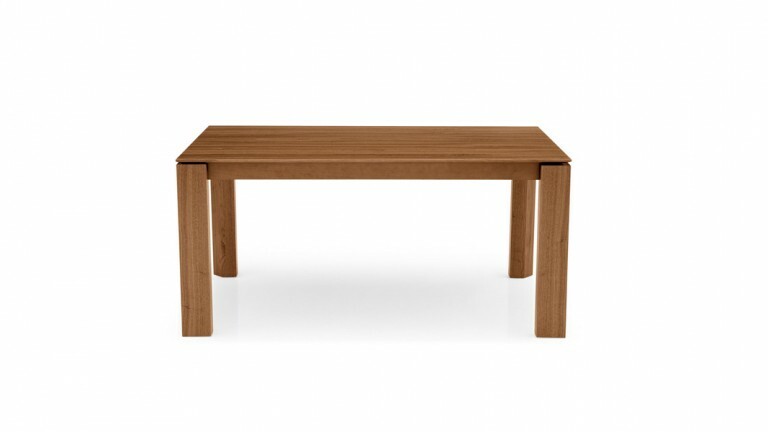 The legs stay at the perimeter, ensuring maximum comfort for all diners. 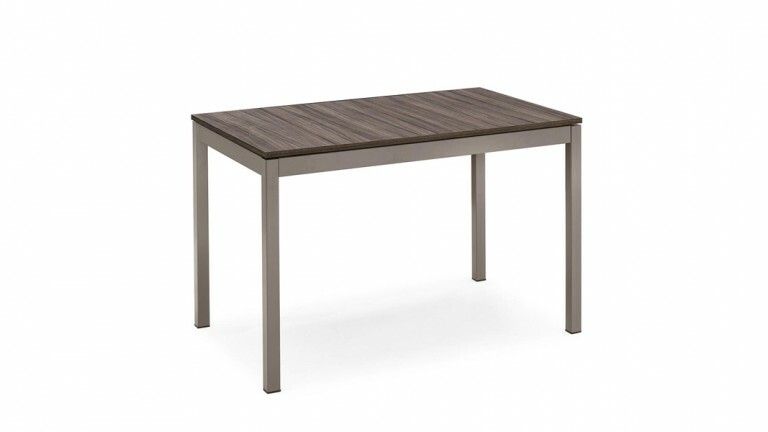 Suitable for comfortably seating 6-8 friends, the BARON drop-leaf table is an excellent solution in the kitchen or dining room.